I was just wondering if anyone in Singapore has used an iOptron SkyGuider Pro? Would love to be able to test it out if anyone has them. I'm planning to get a light photography set-up, but that may run me rather close to the theoretical limit of the SGpro, hence it would be nice if I could have a feel of its capabilities. Do let me know if you use one, and please offer your opinions! Hi. I am considering SkyGuider Pro too. I checked the iOptron SmartEQ Pro+, is basically cheaper with full GOTO & German Equitorial Mount too. Hoping to receive feedback from the forum. Thanks. 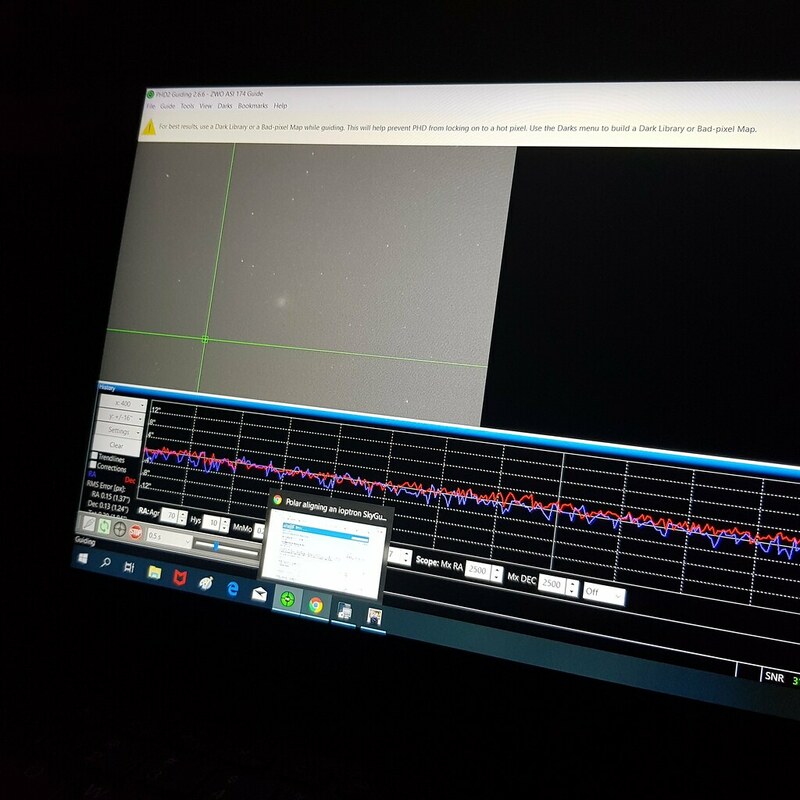 I just owned a Ioptron SkyGuider Pro recently, measured its Periodic Error at 40 + pk-pk but found it conflicting to my actual test, surprisingly, my actual test on Pollux for 2.5 mins shot at ISO 100 found stars to be as good for mount that is of 20 + pk-pk, don't know what went wrong. 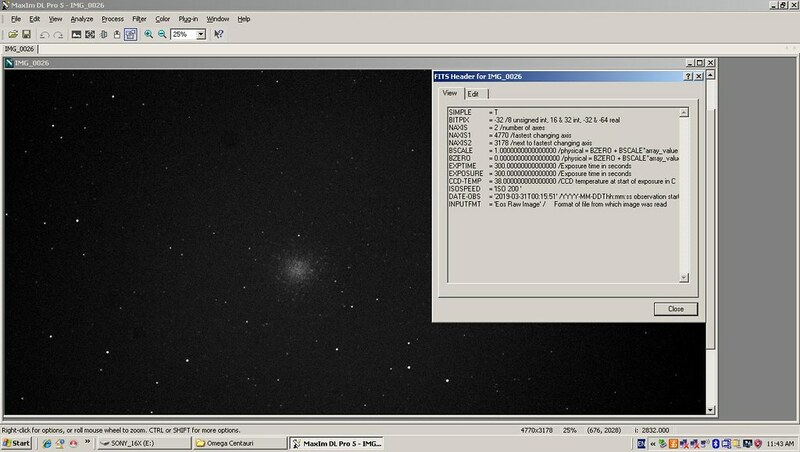 No guiding for this, due to weight consideration, Alt Polar alignment done through putting Digital Level Meter on mount top surface, Az polar alignment was done through Meade 12 mm illuminated eyepiece this round (to simulate situation for forgetting to bring guide scope), so it was found to be a little to the West using PHD later. 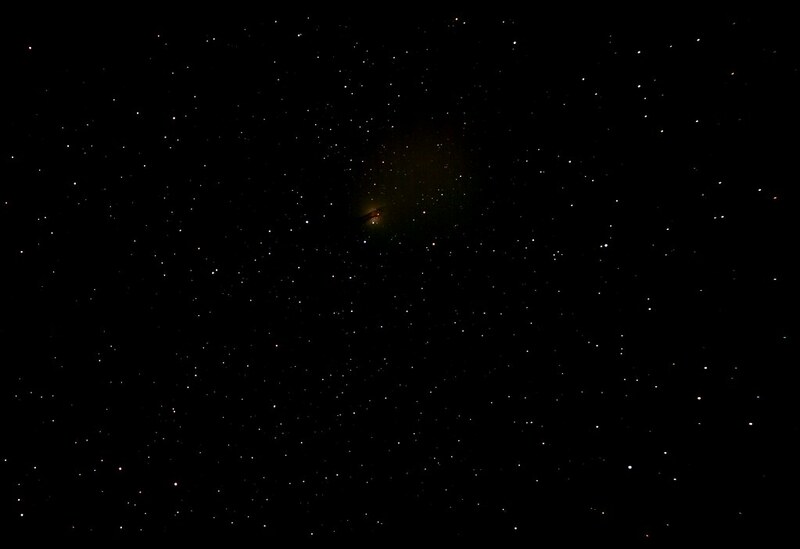 "Goto" using manual computation of Hour Angle and RA position obtained through Wiki for Pollux, Dec set to 28 - 1.35 deg before slewing to target. Last edited by PETER LOO on Mon Apr 01, 2019 11:52 pm, edited 2 times in total. 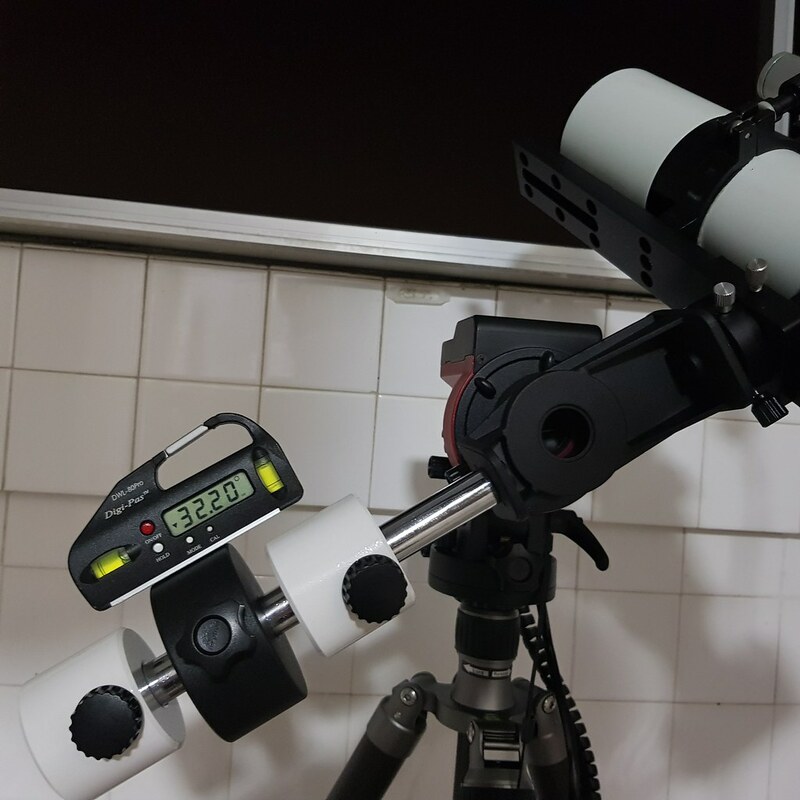 For EQ mounts that do not come with digital setting circle, an alternative way to search for deep sky object is to use "Digital Level Meter Circle setting". 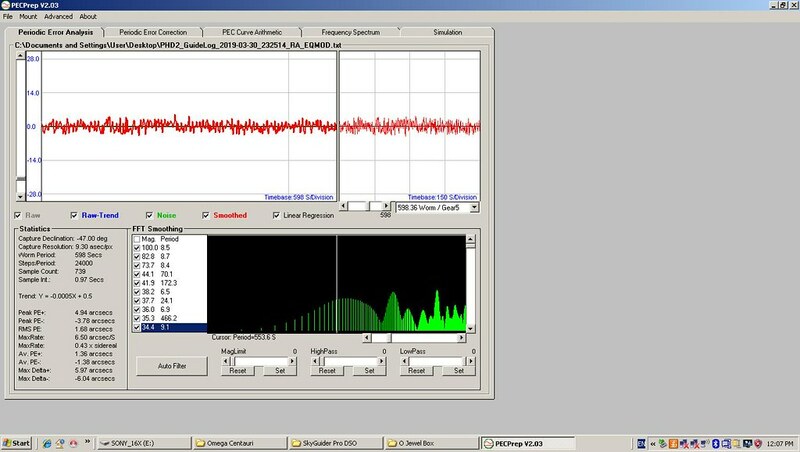 This required manual computation of Hour Angle H.A. in which: ((H.A. = LST - RA of the object)). LST implies Local Sidereal Time, RA implies Right Ascension. There is a hand phone app called "My Sidereal time" that can be downloaded. 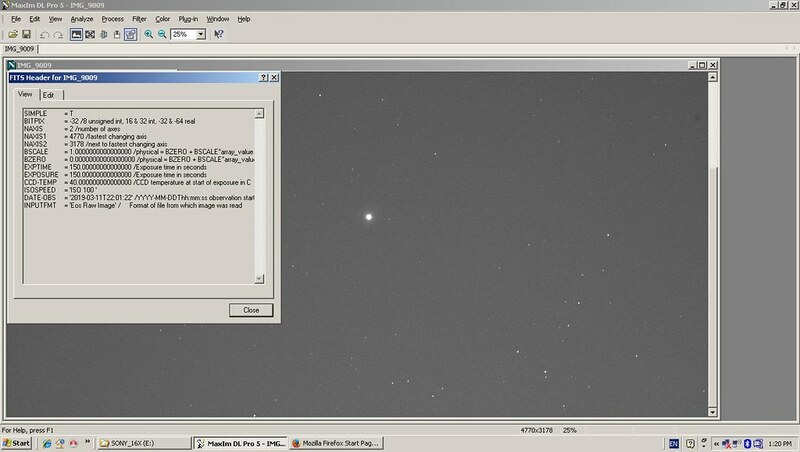 RA and Dec (Declination) of the object example, M45 is available from wiki. Dec need no computation, it is fixed. Dec Arm setting = Dec of object - current latitude for North Pointing. Last edited by PETER LOO on Mon Apr 01, 2019 11:26 am, edited 2 times in total. The above object is Omega Centauri, RA: 13h 26.43 m, Dec:-47.46 Deg. This time the mount is guided via a lighter guider set up. SkyGuider Pro Dec arm is too weak for mounting all the above stuff without doing a proper modification, and attached items might just fall off if not careful. 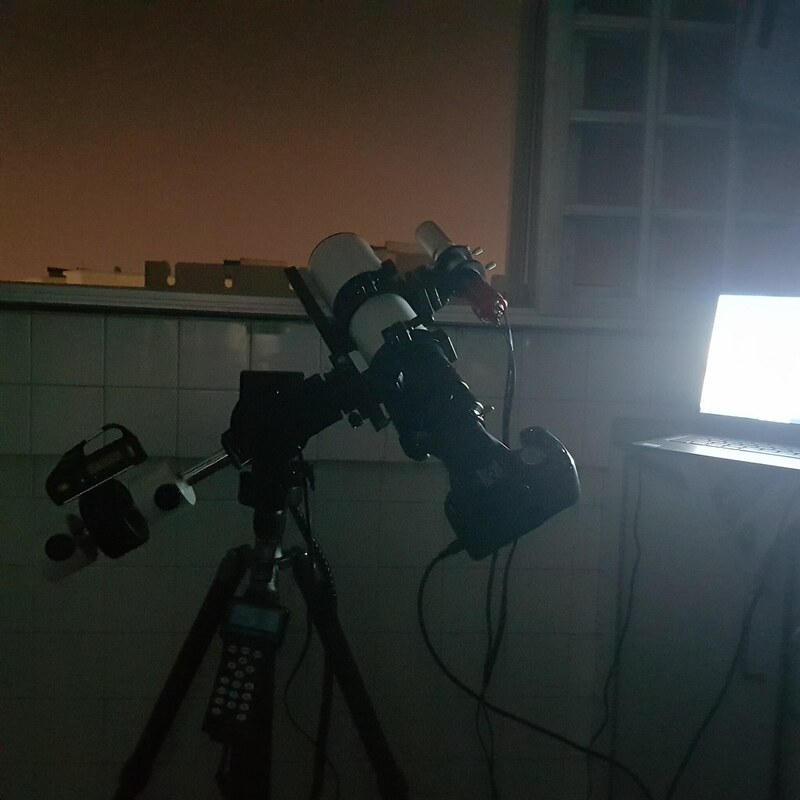 Mount: GPD2 with StarBook-S, guided by ZWO ASI-174M Mini.